see Sarkanniemi Theme Park. The adventure continues: take in panoramic vistas at Pyynikki Park and Observation Tower, make a trip to Nasinneula Tower, look for all kinds of wild species at Hatanpaa Arboretum, and test your team's savvy at popular escape rooms. For more things to do, maps, photos, and tourist information, read Tampere online trip builder . Helsinki to Tampere is an approximately 2-hour train ride. You can also drive; or fly. In May, daily temperatures in Tampere can reach 17°C, while at night they dip to 4°C. Wrap up your sightseeing on the 24th (Fri) early enough to take a train to Jyvaskyla. Jyväskylä is a city and municipality in Finland and in the western part of the Finnish Lakeland. Start off your visit on the 25th (Sat): test your problem-solving skills at popular escape rooms, take in the pleasant sights at Tourujoen luontopolku, learn more about the world around you at Natural History Museum of Central Finland, then brush up on your military savvy at Finnish Air Force Museum, and finally examine the collection at The Alvar Aalto Museum. To find where to stay, traveler tips, maps, and more tourist information, go to the Jyvaskyla planner . Traveling by train from Tampere to Jyvaskyla takes 2 hours. Alternatively, you can drive. In May, plan for daily highs up to 17°C, and evening lows to 3°C. Cap off your sightseeing on the 25th (Sat) early enough to catch the train to Kuopio. Kuopio is a city and a municipality located in the region of Northern Savonia, Finland. On the 26th (Sun), test your problem-solving skills at popular escape rooms, contemplate the waterfront views at Valkeisenlampi, then get a sense of history and politics at Kuopio Market City Hall, and finally enjoy breathtaking views from Puijo Tower. To see other places to visit, more things to do, ratings, and other tourist information, read Kuopio tour planning tool . You can take a train from Jyvaskyla to Kuopio in 2 hours. Other options are to take a bus; or drive. In May, plan for daily highs up to 16°C, and evening lows to 5°C. Wrap up your sightseeing on the 26th (Sun) to allow time to drive to Savonlinna. Kick off your visit on the 27th (Mon): steep yourself in history at Olavinlinnan Musta Passi, see the interesting displays at Savonlinna Provincial Museum, explore the historical opulence of Olavinlinna Castle, pause for some serene contemplation at Pikkukirkko, then look for gifts at Taito Shop Savonlinna, and finally step into the grandiose world of Savonlinna Cathedral. 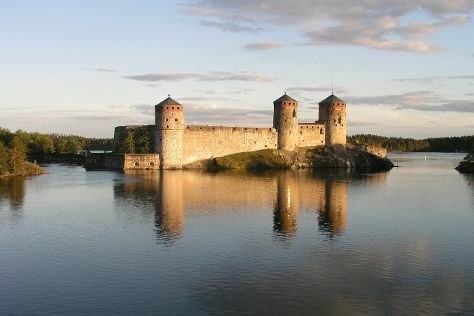 To find traveler tips, more things to do, ratings, and more tourist information, use the Savonlinna tour itinerary builder site . You can drive from Kuopio to Savonlinna in 2.5 hours. Alternatively, you can do a combination of train and bus; or take a bus. May in Savonlinna sees daily highs of 17°C and lows of 4°C at night. Wrap up your sightseeing on the 27th (Mon) to allow time to drive to Lappeenranta. 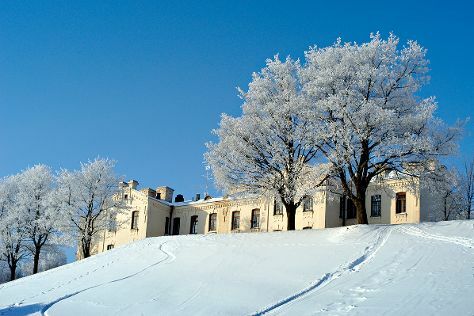 Kick off your visit on the 28th (Tue): explore the historical opulence of Sandcastle Lappeenranta, then examine the collection at Lappeenranta Fortress, then get engrossed in the history at Wolkoff House Museum, and finally explore the activities along Saimaa Canal. To see maps, photos, where to stay, and other tourist information, go to the Lappeenranta online trip itinerary maker . Drive from Savonlinna to Lappeenranta in 2.5 hours. Alternatively, you can take a train; or take a bus. Expect a daytime high around 18°C in May, and nighttime lows around 6°C. Finish your sightseeing early on the 28th (Tue) so you can take a train to Lahti. Lahti is a city and municipality in Finland.Lahti is the capital of the Päijänne Tavastia region. 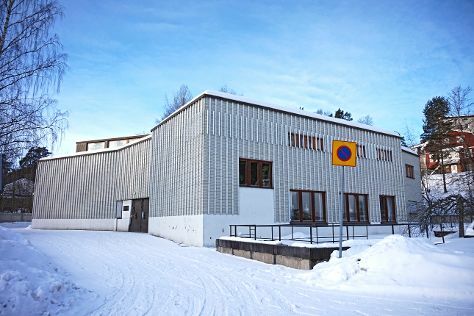 Kick off your visit on the 29th (Wed): enjoy some diversion at Lahti Sports Center, then get into the urban bustle at Sibelius Hall, then take a leisurely stroll along Vesijärvi harbor, and finally examine the collection at Motorcycle Museum of Finland. 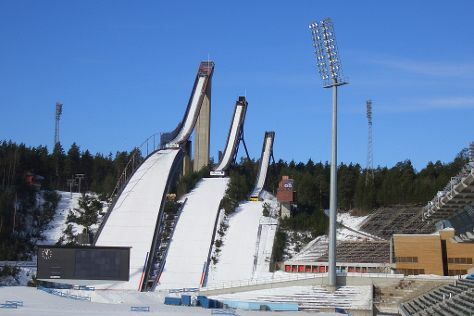 To find photos, more things to do, other places to visit, and other tourist information, use the Lahti sightseeing site . Traveling by train from Lappeenranta to Lahti takes 1.5 hours. Alternatively, you can drive; or take a bus. In May, plan for daily highs up to 18°C, and evening lows to 6°C. Finish your sightseeing early on the 29th (Wed) so you can take a train back home.